After seeing it make an appearance at the FCC offices back in August, we knew it was only a matter of time before Oregon Scientific would begin loading shelves with the MEEP! X2. Today, the company made it official, announcing that its second-gen tablet for kids is now available for purchase. All things considered, the X2 appears to be pretty solid on paper: it features a 7-inch display, front and rear cameras, Android 4.2 (with a custom skin, of course), Bluetooth 4.0, 4GB of internal storage and an undisclosed 1.2GHz, dual-core CPU alongside 1GB of RAM. This spec sheet isn't where the X2 hopes to shine, however; Oregon Scientific is betting on pre-loaded software (such as apps, e-books, games and music), customizable parental controls and its own MEEP! store to lure parents into buying one for their little ones. The X2 is a Toys R Us exclusive, where it's up for grabs now for $150, both online and at brick-and-mortar stores. Features Include an Updated, Colorful New Design, Popular, Pre-Loaded Content, Bluetooth Connectivity and More! Tualatin, OR – October 16, 2013 – Building off of the success of last year's MEEP! 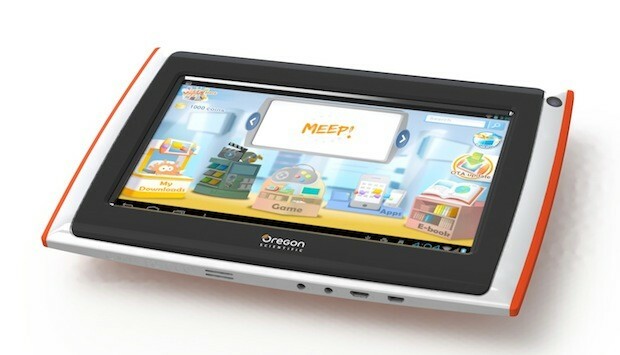 tablet, Oregon Scientific has announced the MEEP! X2. The all new MEEP! X2 incorporates a slim, shock and splash-proof design along with many other fantastic upgrades children and parents have asked for. The Wi-Fi enabled tablet offers the latest Android operating system, front and rear facing cameras, Bluetooth connectivity, a high-capacity lithium battery, and an all-new, intuitive user interface. MEEP! X2 was also specifically designed to withstand daily wear and tear from the couch to the playground, while offering a safe online experience and easy-to-use parental controls. MEEP! X2 is now available exclusively at Toys "R" US retail stores for $149.99 and online at ToysRUs.com. With the MEEP! X2, Oregon Scientific has reinforced the company's commitment to online safety with updated parental monitoring settings that are accessible on the tablet itself and from any PC, iPad or mobile device with a cellular or Wi-Fi Internet connection. The simple web interface allows parents to control the way children access the Internet, view their log files and browsing history, approve friend requests in the Kids Communicator, setup play, video and reading time, and add virtual coins to their MEEP! Market account. MEEP! 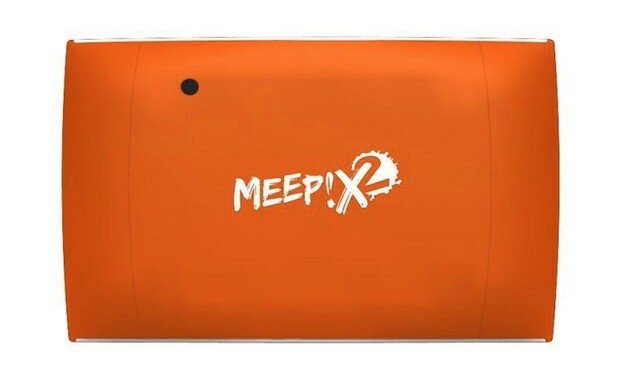 X2 incorporates its own online Meep! Store with over 800 games and apps, and also access to Google Play through the parental portal. Additionally, MEEP! X2 comes pre-loaded with apps, games, eBooks, and more, including popular content from Cartoon Network, Toon Goggles, Zeptolab, Thumbstar, Paragon e-books, educational apps, and more. The MEEP! Store is convenient and easy-to-use with no direct money transactions, allowing children to easily shop for free apps or purchase apps based on credits made available by their parents. Upgraded technical specifications include the latest Android 4.2 operating system, a VGA front-facing camera and 2.0 MP rear-facing camera, zForce® touch screen, G-Sensor, Wi-Fi b/g/n, Bluetooth 4.0 dual mode, a dual Core Cortex 1.2GHz processor, 1GB RAM, high capacity Lithium Polymer battery, and a Micro SD card slot. The MEEP! tablet is geared for kids 6 and up and is available at Toys "R" US retail stores and ToysRUs.com for $149.99. For more information visit www.MeepTablet.com or like MEEP! on Facebook. 0 Response to "Oregon Scientific's MEEP! X2 kid-friendly tablet can be yours today for $150"